What is your favourite part of Summer? The sun? The sand? The sea-breeze? For me it’s relaxing next to a Riviera with a cold crisp drink in my hand. I feel at peace with the lazy afternoon sun beaming down, the gentle breeze refreshing my skin and a beautiful view before me. This is perhaps why I am so smitten with The Salthouse. 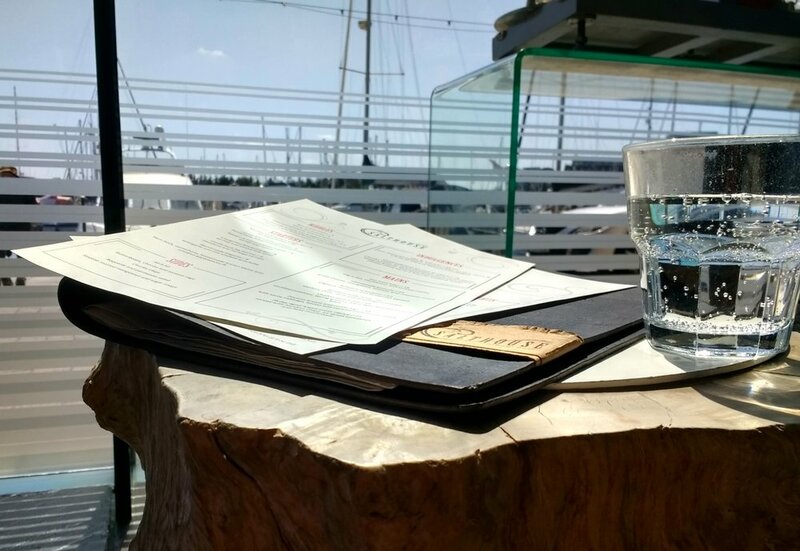 As I sit here writing this article I am basking in the sunshine, looking onto a simply stunning marina view with a cold beverage to sip on. Suddenly a visit to the French riviera to get my dose of relaxation seems completely unnecessary. The Salthouse boasts 10 fresh cocktails to sip on, and unlike the sickeningly sweet syrup-filled cocktails you may find elsewhere, here they focus on creating naturally delicious drinks. Their selection covers all summer staples made to the highest quality including Pimm’s, Mojito and Aperol Spritz - whilst Cranberry Cooler, Mojito and an Elderflower and Apple tipple are available as non-alcoholic options. Those who wish to simmer in the sunshine with a cool glass of rosé in their hand, will be pleased to hear The Salthouse is extending its rosé selection for summer, adding five new options. From sweet and summery to crisp and dry, there will be a rosé to suit everyone. If you wish to accompany your beverage with some summer nibbles why not try olives, garlic bruschetta or homemade bread? For a more substantial option there are several new summery additions accompanying the already delicious Salthouse menu. The menu currently offers a refreshing light chargrilled blood orange, quinoa and mozzarella salad, and a new colourful salad will focus proudly on the heritage of the tomato. Organic, locally sourced ingredients are highly important to The Salthouse and this is clearly reflected in their menu. Lobster will shortly be making a reappearance in time for the summer, cooked beautifully and simply with garlic butter. The dessert menu will also reflect the changing seasons, with local strawberries from Birchwood farms helping to create stunning simple dishes that allow natural flavour to flood through. People traverse many countries and long distances to sit beside stunning marina views with beautifully cooked, organically sourced, fresh food in front of them and a glass of cool crisp rosé in their hands. Thanks to The Salthouse we have all of that on our doorstep.